Home > Opinions > Health > Should the abuse of drugs be considered an act of mental health or criminal justice? Should the abuse of drugs be considered an act of mental health or criminal justice? I think that the use of drugs shouldn't be treated as something of a crime. Throwing people in jail doesn't give them a chance to change their ways as they are around the same environment they were in the real world. According to NPR. ORG prisons are filled with drugs. So these people aren't getting an escape. Drug abuse should be considered in both. Drug abuse is a big problem in the united states. The people have easy access to the drugs they abuse and it's not healthy. 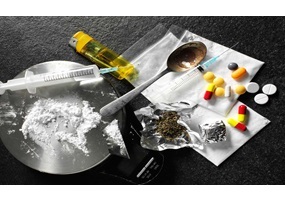 The drug abuse come with having other things like untreated mental disorders or even pain problems. It's treatable but it is also wrong to do now. First off, Second chances are crucial, Especially when it comes to drug abusing, Because a person may have depression and start abusing drugs. Second off, It's a lot easier and more cost efficient to send a person in for rehab then to send them to prison, It doesn't do anybody any good and might ending up hurting the criminal rather then helping them. Is 18 a biologically accurate adult age? Is it fair for people to have to endure second-hand smoke because people smoke in public places? Do dollar store products contain toxic chemicals? Conscientious objections of pharmacists to emergency contraception: Should pharmacists be able to object to giving plan B pills? Should obese children be removed from their parents? Is Verizon a legitimate threat to AT&T? Do women need to be healthier to be happier, like Kate Hudson's new book implies? Should you go to work while sick? Should companies who release deadly bacteria such as E. coli be severly penalized for their actions? Should secondary school students be tested for HIV without parents consent?